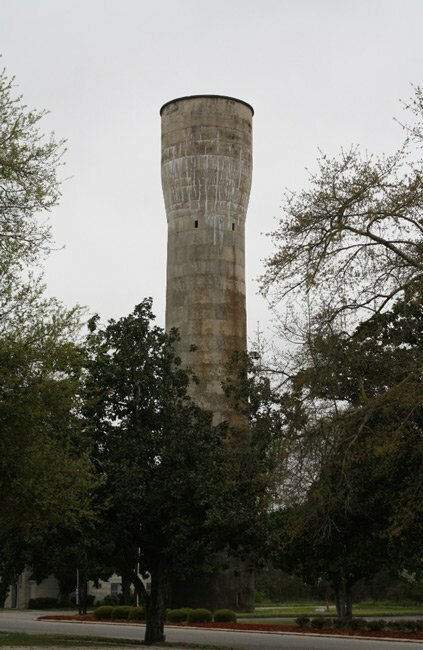 The Allendale standpipe water tower is one of three such towers in South Carolina. The two other standpipes can be found in Belton and Walterboro. This type of tower was popular in the late nineteenth and early twentieth centuries. The freestanding pipes typically stored water throughout the length of their structures as well as in tanks at the top. Therefore, access to the top of the tower was designed on the outside, with a ladder leading from the bottom to the top for maintenance and repairs. This tower was likely built around 1915. Documents show that a contract to build a sewer and waterworks for Allendale had been awarded in 1914 to the Jaudon Engineering Company of Savannah, Georgia. The contract included a “100,000-gallon tank and tower,” among other infrastructure needed to equip a municipality with water. 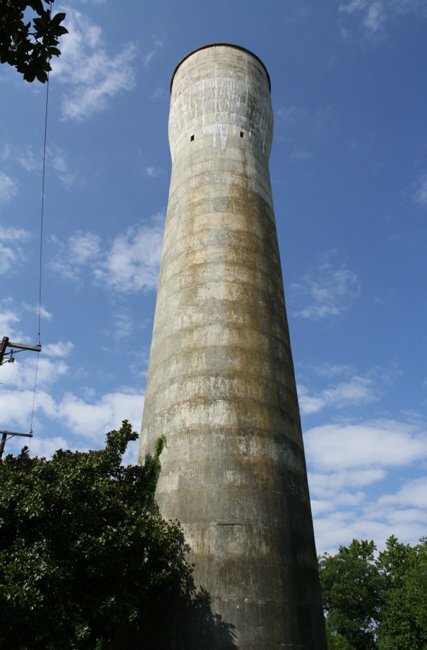 The standpipe was replaced by a modern water tower in 2009, though the historic tower still stands.